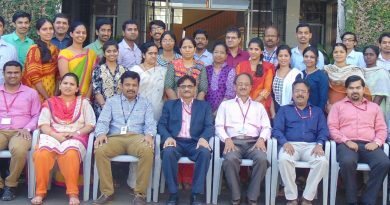 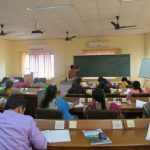 The CSE Dept of the College conducted a 6-day FDP on “Theory of Computation” during 16th to 21st of April 2018. 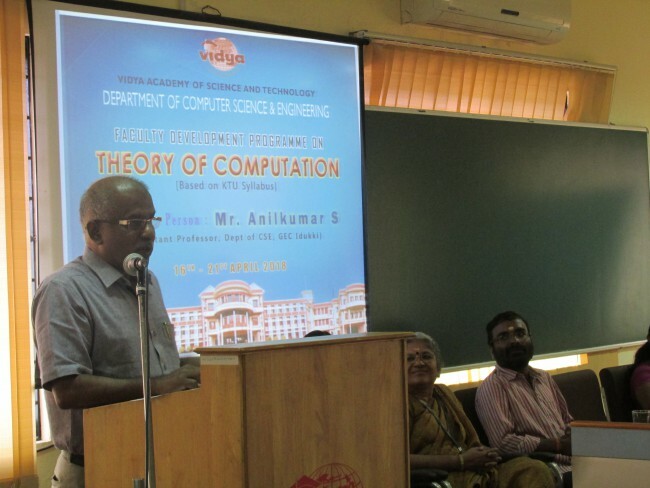 The objective of the FDP was to provide an in depth theoretical knowledge about various computational techniques used in computer science. 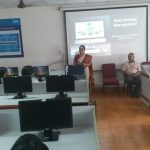 The course content of the FDP was devised in such a manner as to cover the syllabus of the course CS301 Theory of Computation of APJAKTU B Tech (CSE) curriculum. 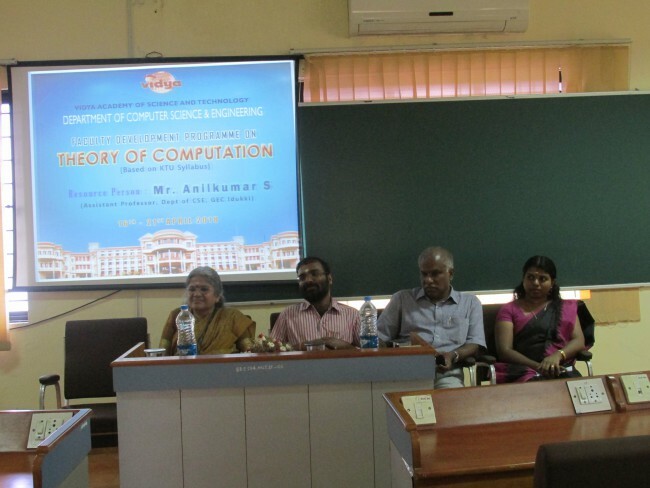 The programme was targeted at the faculty members of AICTE approved engineering colleges in Kerala. 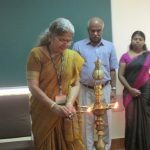 The inaugural ceremony was held on 16.04.2018 at Advanced Computer Lab. 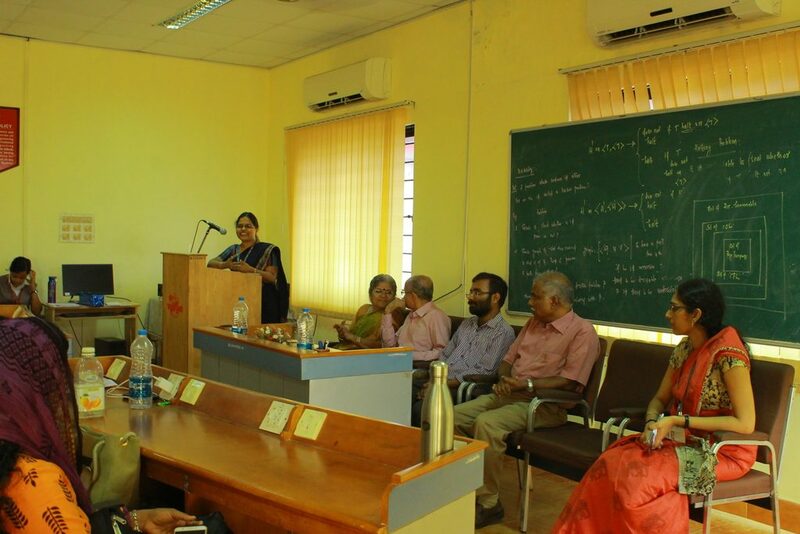 Dr Ramani Bai V (HoD, CSE Dept) welcomed the gathering. 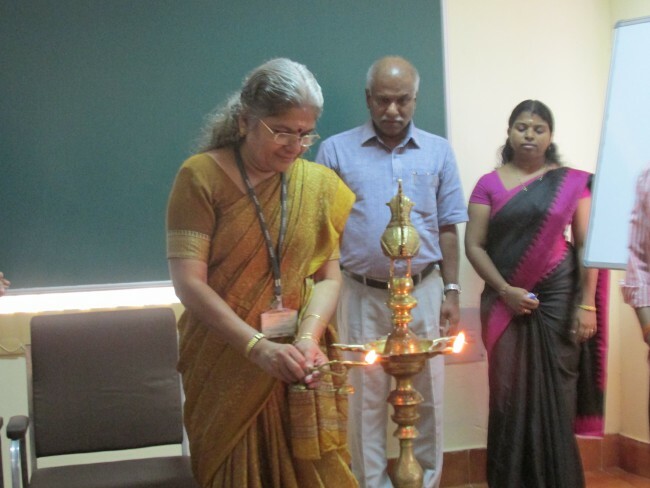 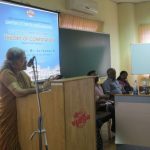 Dr Sudha Balagopalan, Principal, presided over the function. 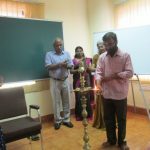 Prof Anilkumar S, Chief Guest and the resource person for the FDP, inaugurated the function. 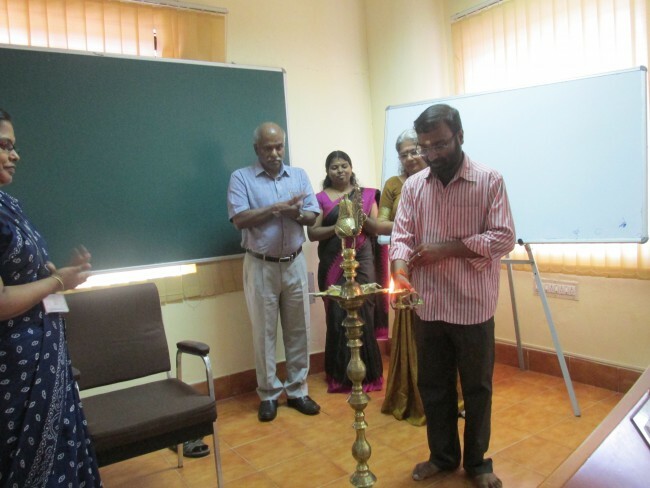 Sri Suresh Lal, Finance Director, felicitated the occasion. 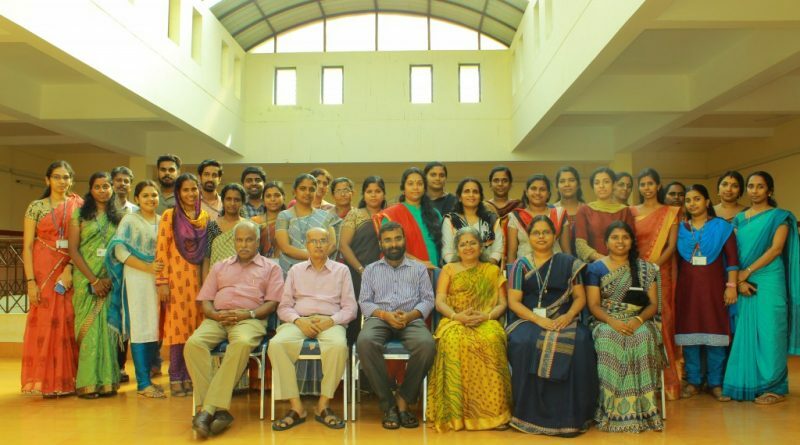 Ms Remya P S, Asst. 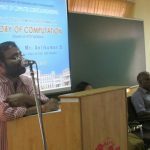 Professor & Coordinator of the FDP, delivered vote of thanks. 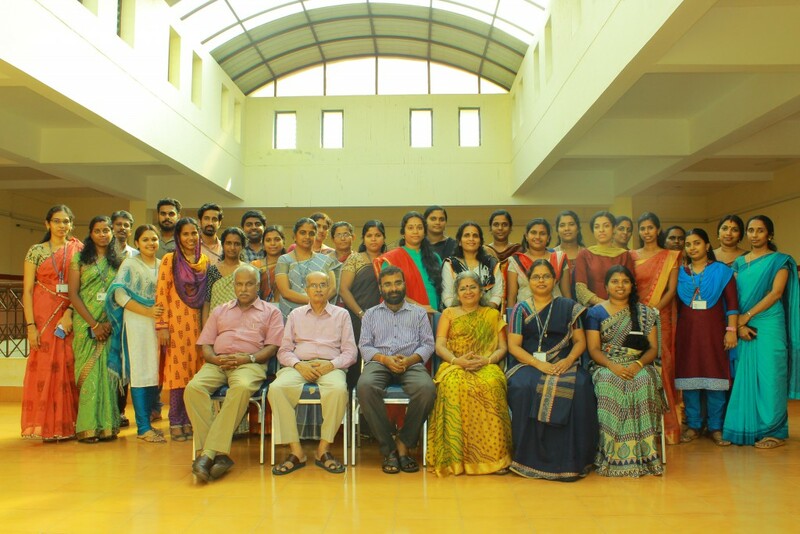 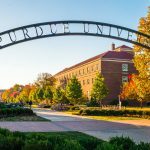 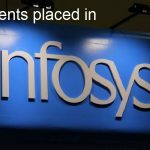 Prof Anilkumar S, Asst. 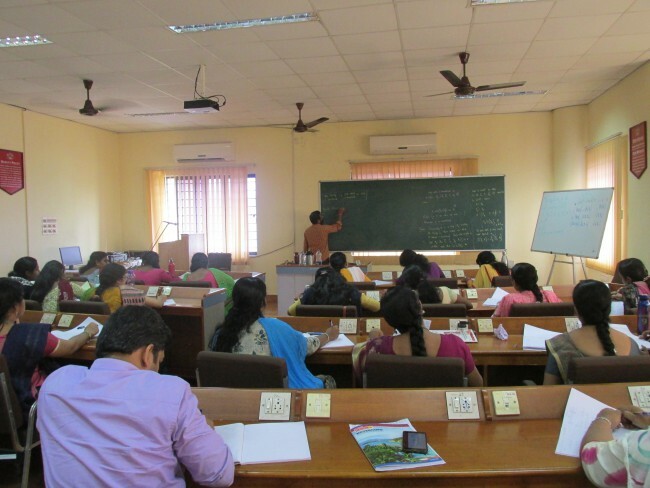 Professor, Govt Engineering College, Idukki, is a passionate teacher. 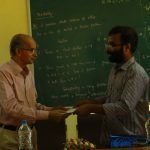 He received the Best Teacher Award in the year 2007 while working at Rajiv Gandhi Institute of Technology, Pampady, Kottayam. 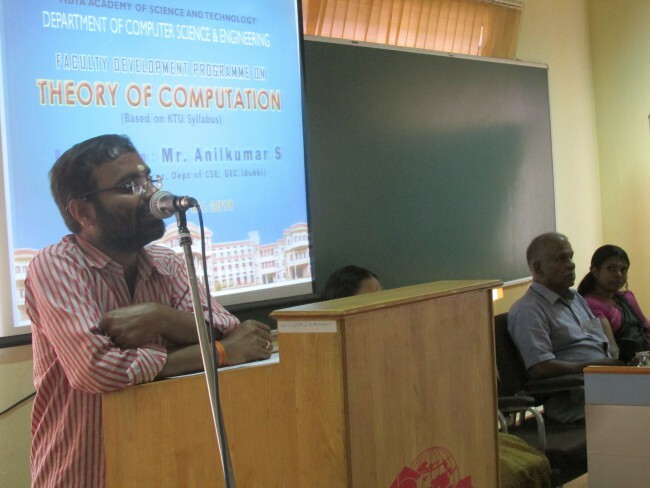 His areas of interest include theoretical computer science, real and complex analysis, and digital image processing. 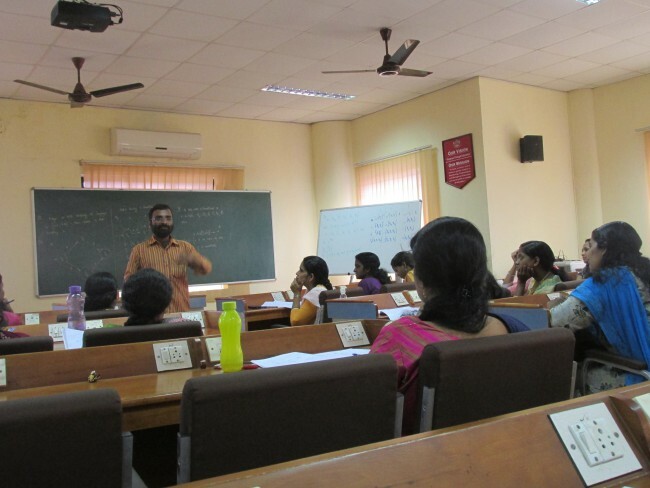 During the FDP, he covered formal languages, Chomsky classification of formal languages with discussion on grammar and automata for regular, context-free, context sensitive and unrestricted languages. 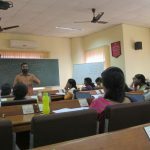 The notions of decidability and halting problem were also explained in detail. 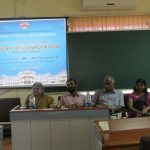 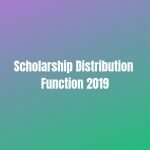 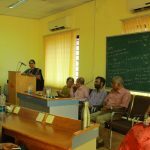 The FDP was concluded with a valedictory function in the presence of Dr Ramani Bai V, Prof. Anilkumar S, Er G Mohanachandran, Dr Sudha Balagopalan and Sri Suresh Lal. 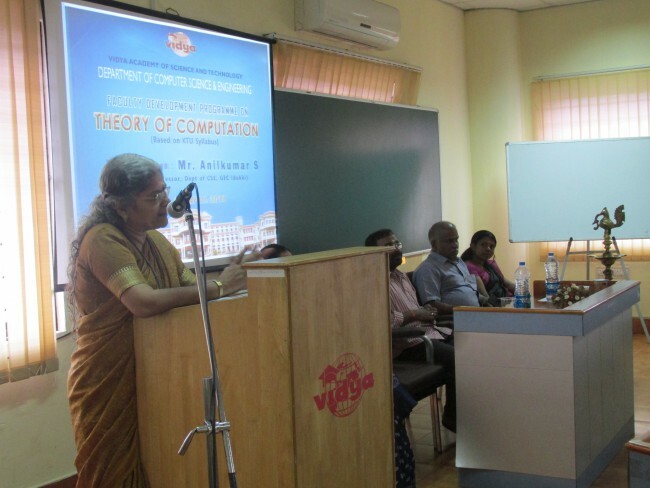 Ms. Mahalakshmy A, Asst Professor and Coordinator of FDP, delivered vote of thanks. 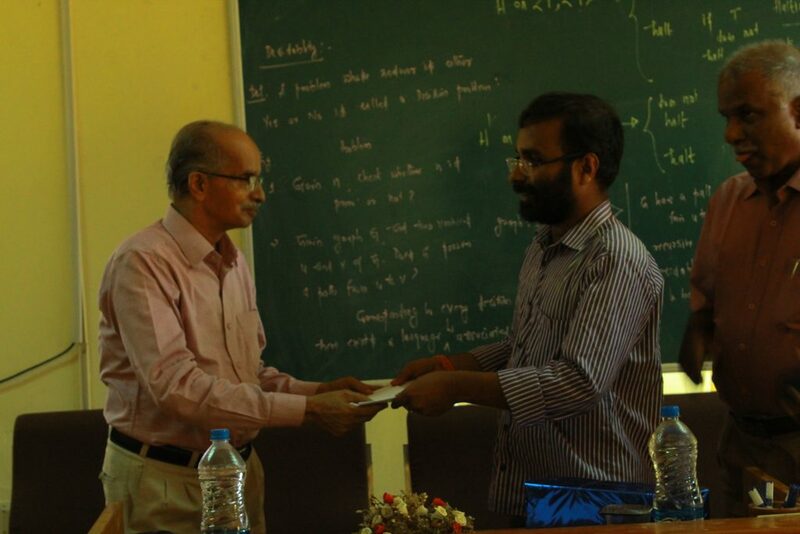 Certificates were distributed to the participants and few participants came forward to give their valuable feedback. 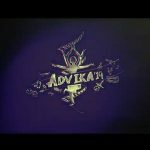 Vidya is great in the sports front also! 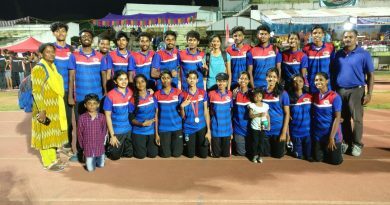 Wins fourth position in 1st KTU Athletics!! 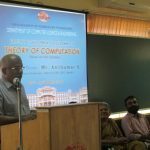 November 7, 2018 Ramesh KV Comments Off on Vidya is great in the sports front also! 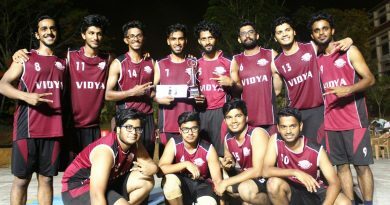 Wins fourth position in 1st KTU Athletics! !